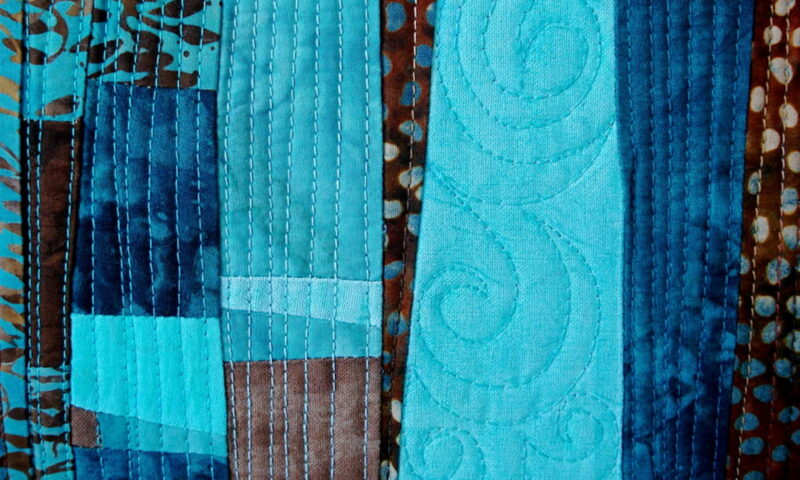 I am a quilting instructor with over twenty-five years of experience in every aspect of quilting. My specialties are free-motion quilting on a domestic sewing machine and machine appliqué using satin stitch and/or free-motion satin stitch. I am familiar with most brands of sewing machines and can assist you in getting the most out of yours. If you are struggling with a new-to-you machine, or if you simply are curious about what all those knobs and buttons on your sewing machine are for, I can help! Sharing my expertise is my passion. I hope you will allow me to share my knowledge of quilting with you. Private and group lessons are available in my home studio located on the north fork of Long Island, New York, or in your home if you are within a reasonable driving distance. I am available for Quilt Shows, Quilt Shops, Quilt Guilds (Lectures and Workshops) and Events.